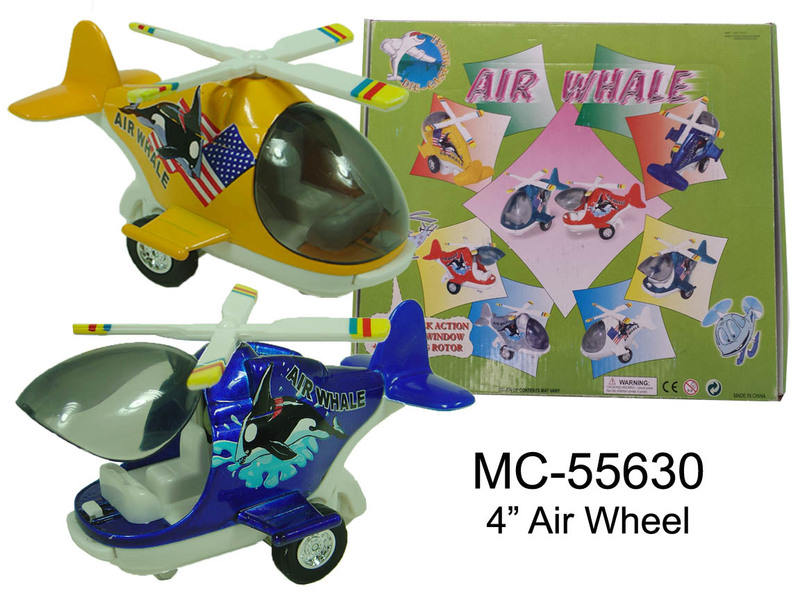 4" AIR WHALE - Sailing (U.S.) International Corp.
408 - 4" Air Whale - diecast collectible model airplane. This Air Whale is a 4" long pullback motor action. Openable canopy, 12 pcs per display box,72 pcs inner box.